The duties of a medical assistant can vary a lot. This means that you will be constantly kept on your toes. This is not a job that you will get bored with as it can be different from one day to the next. As a medical assistant, you will be working in all parts of the medical office. This is why you have such a substantial medical assistant income. Medical assistants will often be the first person you will encounter at the doctor’s office. As a part of your job you will be at the receptionist’s desk checking patients in and out of the office. You also will take payments and get the medical records ready for the doctor. They also answer any questions that the patient may have. They take the patient to the treatment room. Here they will take the patient’s vital signs. Once the patient is ready they will alert the doctor and give the chart to the doctor. They may also be required to assist the doctor that they work with in procedures such as routine check ups and in office surgeries. While it is possible to get a job as a medical assistant with no previous training, more and more employers are looking for medical assistants that have degrees and are certified. You can obtain a certificate or degree at most vocational or technical colleges. The average time to complete these programs will depend on which program you choose to enter into. Generally, these programs will take from one to two years to complete. Courses will include both in class training and on site clinical rotations in which you will get hands on training. Courses will include anatomy, physiology, medical terminology, first aid, lab and clinical procedures and practices, medical record keeping, accounting, medical insurance procedures and processes, phone etiquette and office management procedures. Licensing may be required in some states. Certification and licensing is done by the AAMA or AMT and there are no requirements needed to take the certification tests. While the medical assistant income is a great reason to become a medical assistant, it is not the only good thing about starting this career. Medical assistants can work in many different types of places. While more than fifty percent of medical assistants work in physician’s offices or in other types of medical facilities, there are many different types of places that employ medical assistants. You may also find high paying jobs in industries such as insurance carriers, research and development services and insurance agencies. The average medical assistant will work a normal forty hour work week. This is generally a Monday through Friday schedule but will depend on the place that you work. Some doctor’s may have reduced or extended hours so the hours that you work may vary throughout the year. There are many different reasons that you should become a medical assistant. 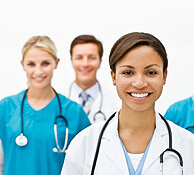 It is a career that offers a wonderful medical assistant income. Medical assisting requires little or no previous experience so it is a career that it very simple to get into. It also has a nice work environment and allows you to have a stable career. As of 2012, there are more than 527,000 people employed as medical assistants. The career field is still expanding at a rapid rate and there is a high demand for experienced medical assistants in the near future. By the year 2018, there is an expected growth of thirty one percent additional medical assistant jobs to be added to the job market. This means that there will be an additional 162,000 jobs open for trained medical assistants. Which means that making the decision to become an MA can be one of the best decisions that you could possibly make for your future.